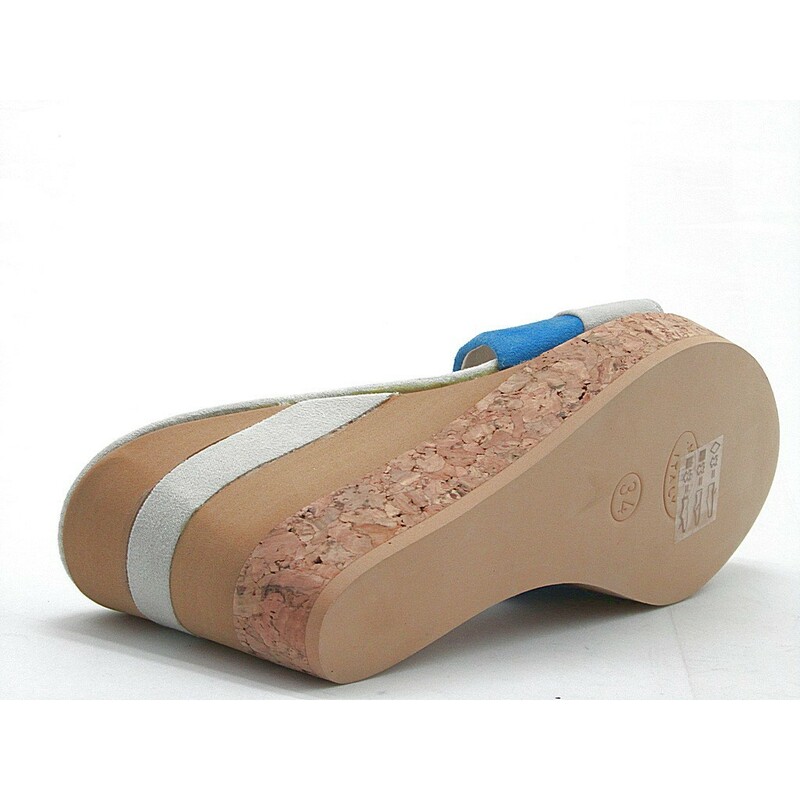 Open sabot with cork wedge, 8 cm. high wedge and 2 cm. 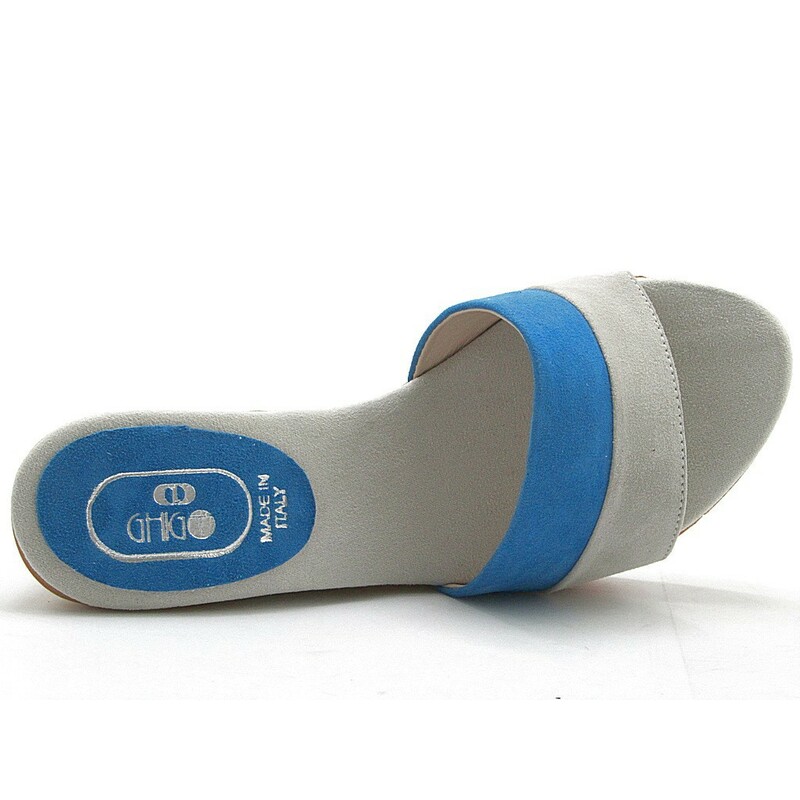 high plattform, in gray and blue suede, rubber sole, leather lining.